In 1993 Mercedes-Benz ventured into a completely new vehicle class with the revolutionary concept of the Vision A 93. Now the brand is once again presenting a car that might have come from another planet: the Mercedes Concept A-Class is the first heartbeat of a new generation whose expressive design stands for concentrated dynamism. The Mercedes-Benz Concept A-Class is celebrating its premiere at the Auto Shanghai show (21 to 28 April 2011). The technical highlights of this front-wheel drive Concept car include a new, turbocharged four-cylinder petrol engine developing 155 kW (210 hp), a dual clutch transmission and a radar-based collision warning system with adaptive Brake Assist. But it is not only visually, but also technologically that the Concept A-Class is ushering in a new compact class era at Mercedes-Benz. This front-wheel drive model is powered by a four-cylinder petrol engine from the new M270 series. It was designed for transverse installation, and thanks to direct injection and turbocharging it offers a high performance potential together with minimal emissions and fuel consumption. Other highlights of the all-aluminium engine include injection pressures of up to 200 bar and fast-responding piezo injectors. interruption in tractive power. The new transmission is therefore particularly economical, sporty and comfortable. 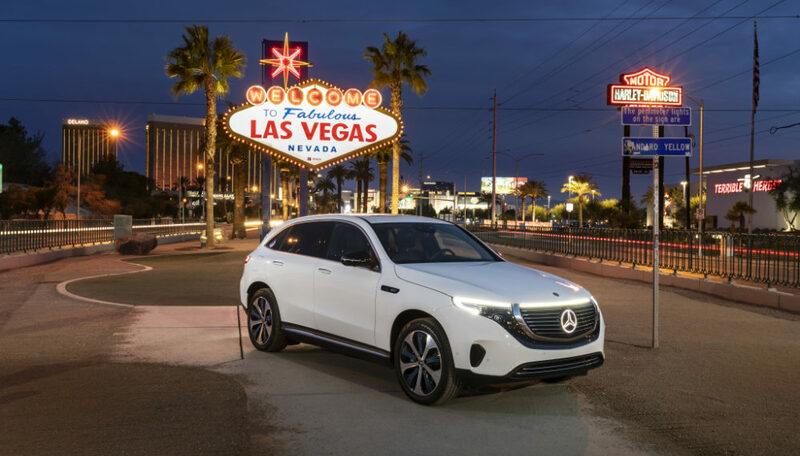 One major characteristic of the new design idiom at Mercedes-Benz is the expressive interplay between lines and surfaces – which the designers refer to as a “clean” Concept. Thanks to concave and convex surfaces with the resulting light modulation, this creates a unique sculpture-like presence. The Concept A‑Class emphatically continues this theme of defined edges and interacting surfaces, which Mercedes-Benz first showed in the F 800 Style. The side view is structured by three prominent lines: the front structural edge forms a dropping line towards the rear, while the pronounced shoulder muscle over the rear axle emphasises the car’s coupé-like character. A further line extends upwards in front of the rear wheel arch in a sweeping curve. These lines lend more depth and dynamism to the side profile. The door handles are recessed into the doors, and emerge electrically at the touch of a button. The unusual, wing-like structure of the exterior mirrors is suggestive of flow and lightness. Another prominent feature is the open side skirt, which creates an unusual light-and-shadow effect. Reminiscent of a turbine rotor, the large 20-inch wheels reinforce the impression that the Concept A-Class has been shaped by the wind. The front end of the Concept A-Class is a real eye-catcher. The brand logo appears to be surrounded by a starry sky. Where there are usually apertures or louvres, the radiator grille consists of numerous metallic silver “dots” on black stems. This theme is reflected in the design of the wheels. The visually wide rear end exudes power and athleticism, and is likewise enlivened by an interplay between convex/concave surfaces and pronounced edges. The tail light clusters continue the lines of the muscular shoulders towards the rear, emphasising the car’s width with their horizontal orientation. The aerodynamic spoiler lip in the tail lights improves efficiency, while the diffuser creates a downforce to aid roadholding. The interior of the Concept A-Class, which is flooded with light from the large panoramic roof, likewise appears to be from another planet. Many of the unusual features were inspired by aircraft engineering, at the same time reflecting ideas from the “Mercedes-Benz Aesthetics No. 2” interior sculpture. Various component groups have been reduced to a minimum, for example the dashboard and centre console are merely brushed aluminium structures. The result is a transparent, light, bionic design effect. As an extremely eye-catching detail inside the Concept A-Class, the dashboard takes the form of an aircraft wing and has a translucent, stretchable textile lining. Thanks to this sophisticated fabric, which is vapour-coated with chrome particles, the bionic cellular structure of the dashboard remains visible – its design is reminiscent of a canvas-covered aircraft wing whose underlying struts are discernable. Dramatic backlighting makes this instrument carrier appear particularly futuristic. Thanks to the translucent high-tech lining and lack of a conventional support structure, the dashboard appears to be free-floating. Its lines continue into the door panelling like vapour trails from the winglets of a jet. The form of the air vents in the dashboard is likewise inspired by the engines of a jet aircraft. The translucent, backlit vents change their colour depending on the temperature the occupants have selected for the climate control system: they are blue if cool, fresh air is vented into the interior, but red if the airflow is heated. The prominent displays in the instrument cluster, which were inspired by the afterburner of a jet engine, are likewise in red. The central control unit is designed as a high-tech flight panel with a shift lever in the shape of a “thrust control”. With their moulded-over head restraints and very pronounced lateral support, the seats call the pilot seat in a jet fighter to mind. Titanium and silver tones are combined with a light, elegant beige in the interior. Magenta is used to produce highlights that contrast with the car’s alubeam silver paint finish, which follows the dynamic contours of the exterior like liquid silver. The Concept A-Class makes use of modern materials such as the high-tech lining on the dashboard, or metallised leather where semi-aniline is dyed with metallic pigments and embossed, and also high-grade nubuk leather. This builds a bridge between 125-year tradition of the Mercedes-Benz brand and its claim to progressiveness. A smartphone is fully integrated into the operating systems of the Concept A‑Class. When the phone is inserted into the recess provided in the centre console, it is automatically synchronised with the COMAND multimedia system. All the functions of the smartphone, including internet radio, email and social networks such as Twitter or Facebook, are shown as applications on the 17.8 cm display and can be operated via the rotary/push control. The visual presentation of the screen elements is unique, with a deep, three-dimensional look created by laser-like, magenta-coloured lines. 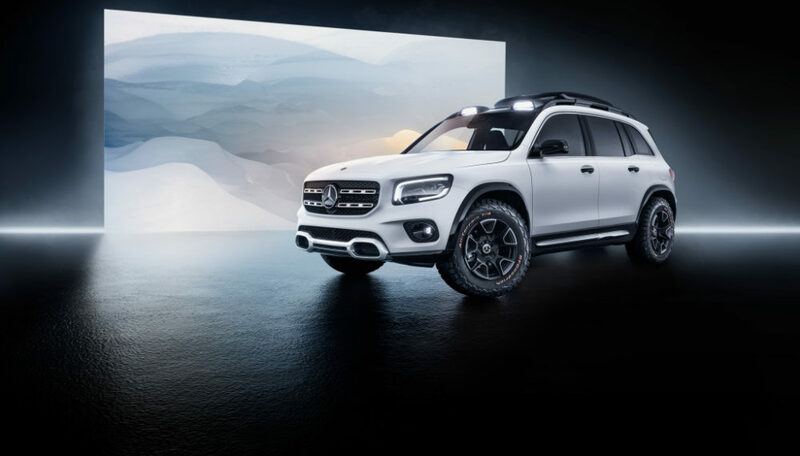 This near-series display Concept was designed and realised by designers and engineers at the Mercedes-Benz development laboratory in Palo Alto/USA. The menus in the Concept A-Class are in both Mandarin and English. A very special effect is created by the lights of the Concept A-Class, as the innovative full-LED high-performance headlamps repeat the starry sky motif of the radiator grille with numerous lighting points. The daytime running lamps consist of 90 optical fibres with aluminium sleeves, and they are arranged in a wing-shape within the headlamp. The tentacle-like fibres form individual, diffused light sources to create a dramatic contrast between soft and harsh. From any perspective an unusual effect is also created by the LED indicators, which appear to float freely within the headlamps like an enclosed air bubble in a perfume bottle. The indicators are mounted in six chambers at the top of the perspex headlamp unit, and their vapour-coated reflectors remain invisible. As already brought to series production maturity in the Mercedes CLS, the LED high-performance headlamps of the Concept A-Class combine the Intelligent Light System with LED technology. The projection module of these LED headlamps is no longer round, but rather flatter and more sporty. This sporty impression is reinforced by the matt carbon-fibre housing, which contrasts with the aluminium surround of the projection module. Optical fibres with aluminium sleeves are also used in the tail lights. 120 optical fibre lighting points form each C-shaped tail light cluster to create a unique visual effect with their subtle glow. They are appropriately lit up for the brake light function. When braking, the continuous light band between the two tail light clusters also lights up to make the Concept A-Class appear even wider. The indicators are self-contained elements in the centre of the tail lights. The base unit of the tail light is of carbon-fibre, with the numerous red elements ensuring visual depth. 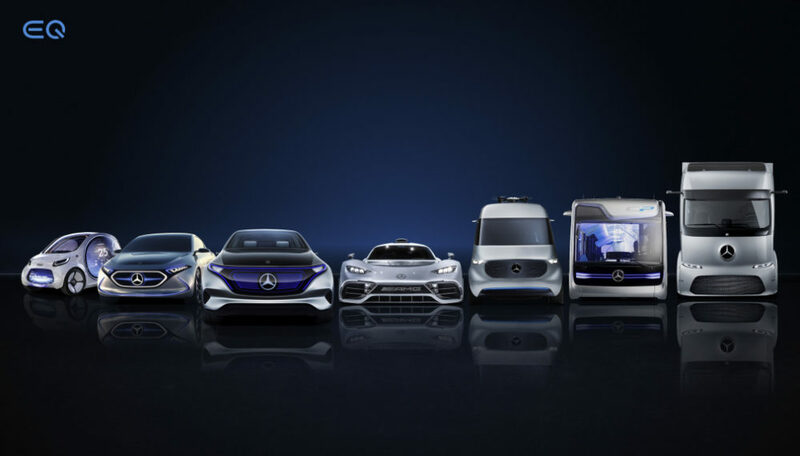 In the Concept A-Class, safety pioneer Mercedes-Benz is showing another milestone in the democratisation of automotive safety technology: the concept car is equipped with a radar-based collision warning system with adaptive Brake Assist – a world first in the compact class. This system gives a visual and acoustic warning to a possibly inattentive driver, and prepares Brake Assist for an absolutely precise braking response which is initiated as soon as the driver emphatically operates the brake pedal. In contrast to other systems available in the market for the compact class, the new Brake Assist Collision Prevention Assist is not merely an urban driving system designed to minimise the effects of minor collisions. Instead this innovative solution aims to provide protection against typical rear-end collisions in all driving situations. Mercedes-Benz expects the new safety system to have a significant, positive effect on accident statistics. Following detailed analyses of accident data, Mercedes-Benz safety specialists estimate that this radar-based technology can help to prevent around 20 percent of all rear-end collisions, and mitigate the severity of a further 25 percent.